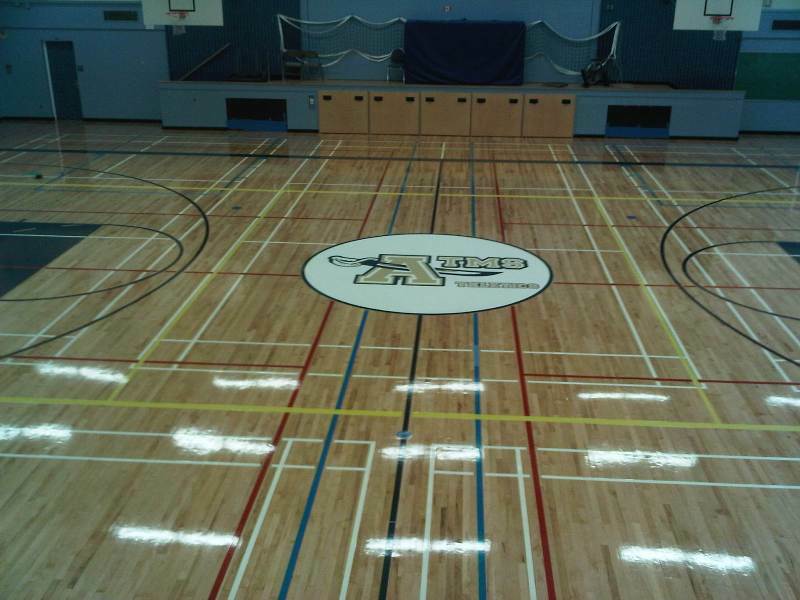 AHF moisture cured urethane Gymnasium hardwood floor recoating is ideal over a re sanding and refinishing with urethane alkyd enamel paints like Bona game court paint or Poloplaz fast break paint and a magnum or sport poly coating. Urethane floor coatings are very yellow and dry brittle, wear is noticeable! 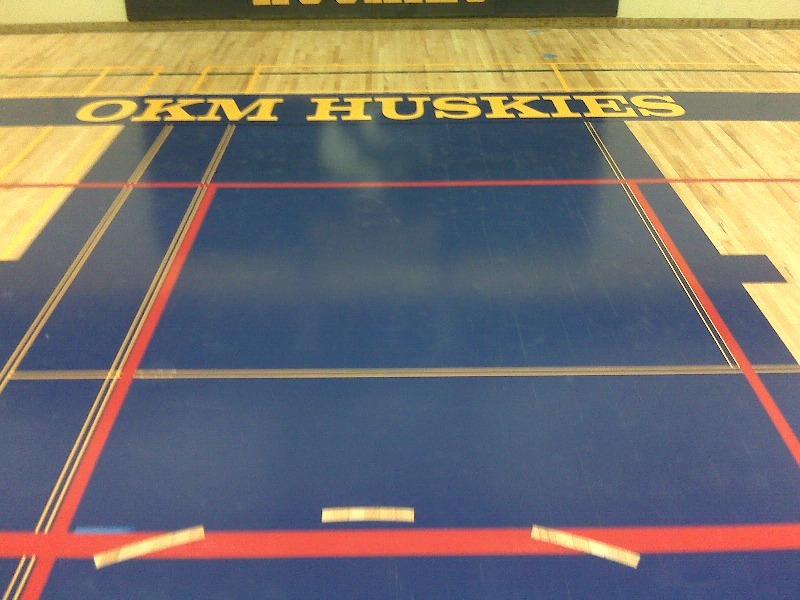 Very hard to keep them looking really good. 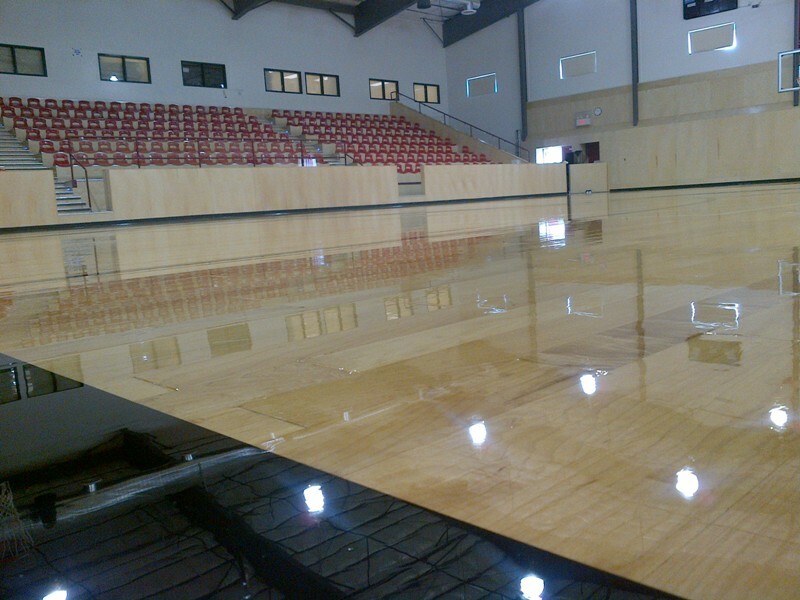 They can be re screened and recoated to a certain extent Benefits are they are a medium nonslip finish under normal ventilation circumstances and conditions. 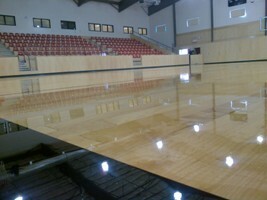 But what your looking at here is MCU2 moisture cured urethane kind like cement but clear and glossy. 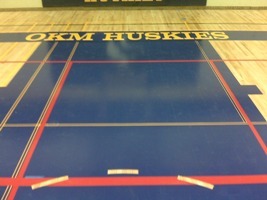 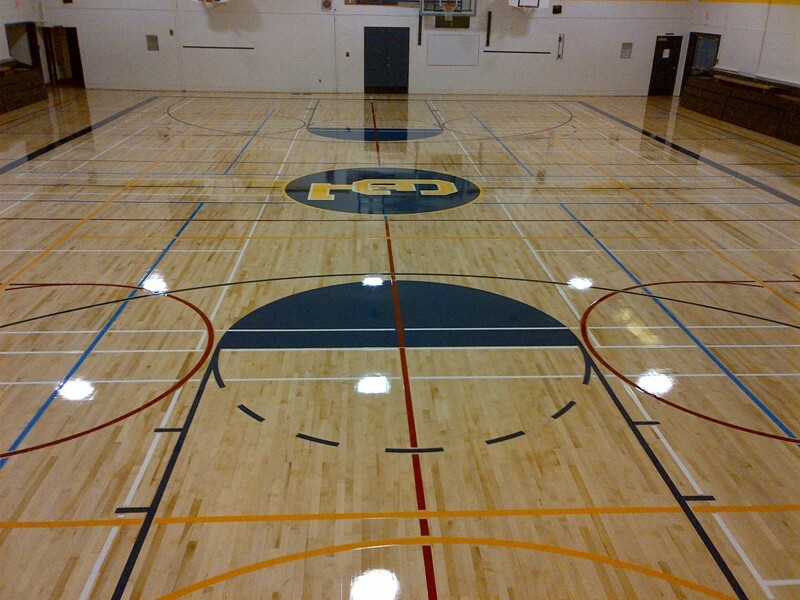 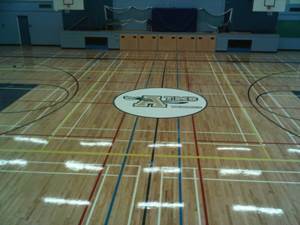 60 years old gymnasium hardwood floor refurbishing , This gymnasium floor received a generous repainting and recoating with the full strength moisture cured urethane hardwood floor coating back in 2009, .